"This design is quick and easy to knit. There are only three cable patterns centered on the front. The back and sleeves are in stockintette. 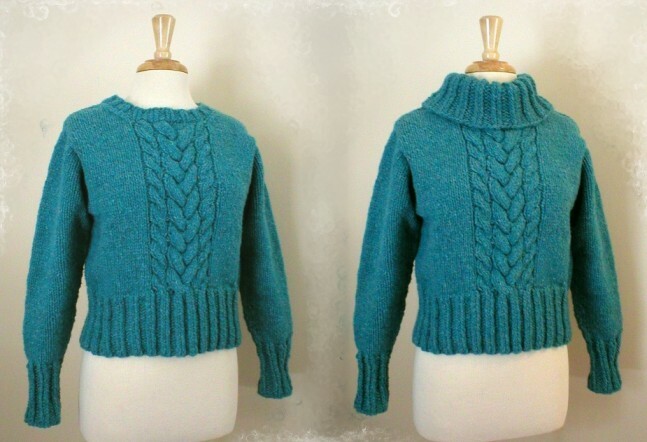 To give structure to the soft wool yarn, as well as a strong vertical element, I used twisted ribbing for the lower edge, cuffs, neck edge and separate turtleneck. Only the knit stitches are twisted, so it is also not difficult to knit."